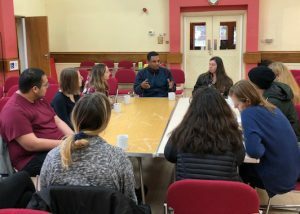 When 13 students journeyed across the pond to start their fall 2018 semester abroad in Manchester, England, few of them had an interest in immigration or the refugee crisis. Once immersed in their classwork, however, they quickly united to stand for human rights in the region. The Manchester Study Group is focused on university studies and the interdisciplinary nature of academics. As such, the theme of the course varies from year to year, depending on which faculty member leads the trip. For her directorship, Professor of Geography and Environmental Studies Ellen Kraly designed an entirely new course, Geography 343: Immigration, Refugee Migration, and Asylum in the United Kingdom and the European Union. In their studies, students met with two nonprofit organizations to reinforce the idea of place-based learning. The first was the national organization Refugee Action, which tries to break down the legal barriers faced by those seeking asylum within the U.K.
Conversely, the second organization was more homegrown and seemed to have fewer resources. Manchester Refugee Support Network (MRSN) is a grassroots operation that showcases refugees from a variety of different regions working together to solve their own issues. MRSN presentations came from refugees themselves. Study group member Erin Hendry ’20 was particularly moved by a presentation by a former refugee now helping at MRSN. His daughter was largely denied an education when teachers refused to give her homework, believing that she wasn’t as capable as native English students. Despite their differing approaches, both organizations made a lasting impression. The study group students conferred and decided to split their remaining student activities funds, totaling $800, evenly between the groups as a donation in support of their work. 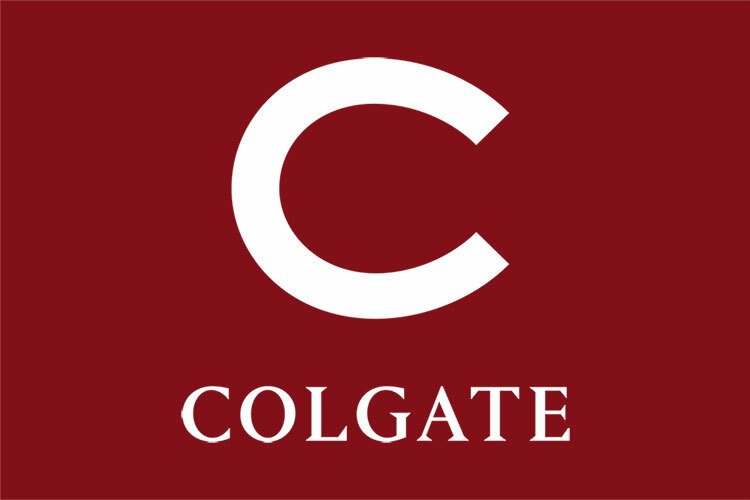 Kraly was also moved by the presentations and hopes to bring her experiences from the semester back to Colgate, where she teaches a course on international migration and U.S. immigration and refugee resettlement. She spoke endearingly of the students on the study group, citing both their kindness and ability to tackle important issues using a variety of different lenses.